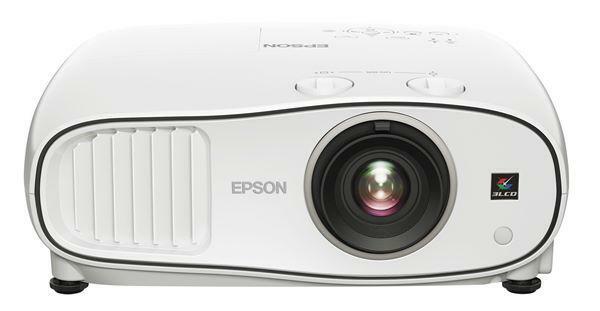 Two of this year's popular 1080p projectors are the Mitsubishi HC6500 and the Panasonic PT-AE3000. Both of these models offer excellent picture quality at aggressive price points - the HC6500 retails for $2,295 with rebate while the AE3000 sells for $2,499. These 1080p projectors each bring something unique to the table, and knowing how they differ may help you decide which of the two may be the right choice for you. Lumen output. In video optimized mode, the HC6500 and AE3000 are evenly matched. Our test sample of the HC6500 measured 518 lumens in video optimized mode, while our test sample of the AE3000 measured 560 lumens. While this difference is detectable with a light meter, it is almost invisible to the naked eye. Things change a bit if we look at maximum lumen output. The HC6500 tops out at 752 ANSI lumens, and color accuracy suffers. Meanwhile, the AE3000 has a maximum lumen output of 1273, and color in this mode is more accurate than that on the HC6500 in its comparable mode. This makes the AE3000 better able to project HD sports broadcasts in rooms with significant ambient light. Contrast. In our tests, the HC6500 measured 304:1 ANSI contrast, while the AE3000 measured 446:1 ANSI contrast. In any given scene, the AE3000 will appear higher in contrast when placed next to the HC6500, due to the AE3000's deeper black levels. On a fully black (0 IRE) screen, the HC6500's iris closes enough to give the projector a deeper black level than the AE3000, but this black level is not present when using mixed video content. The AE3000 also has slightly brighter highlights. Sharpness. The Mitsubishi HC6500 is noticeably sharper than the AE3000 when the two are viewed side by side. Fine details in Blu-Ray movies stood out more clearly, and the picture as a whole seemed crisper. In an A/B comparison, where it is more difficult to notice differences, the HC6500 was still obviously sharper and more detailed than the competition. As far as sharpness is concerned, the HC6500 (and its more expensive version, the HC7000) are unrivaled in comparison to all other 1080p models we've seen thus far this fall. Three-dimensionality. Sharpness is one of the factors that contribute to an image appearing three dimensional, and the HC6500 is a very sharp projector. However, contrast also contributes to the three-dimensionality of an image, and the AE3000 has higher contrast. So which projector appears more three dimensional? In some scenes, the HC6500 appears to have more depth than the AE3000, while in others the reverse is true. We would not classify one projector as having a definitive advantage over the other. Digital noise. The AE3000 is very close to noise-free, even without the aid of a noise reduction filter. In direct comparisons, the HC6500 showed a degree of graininess not present on the AE3000. While digital noise is relatively easy to ignore once one is immersed in the movie, it is still a notable difference. Audible noise. The Panasonic AE3000 is a quiet projector by any standard. From more than a few feet away, one can detect very little audible noise. However, the HC6500 is even quieter - barely a whisper emanates from the projector, even in high lamp mode. Damn you!!! You were suppose to decide for me which one to buy. Instead you left me still choosing for myself. Thats no fun... I want to know which one YOU think is the best and I'll get that one. In that price range a couple hundred really means you could go either way still. But I'm leaning more toward the AE3000... Wait... did I just make a choice?! I think I did! Yay!!!! I made up my mind!!! I'm so awesome! Thanks for the comparison, always appreciate these very much. However, it would be nice to see a comparison with an older model just to know how much the technology has (not) progressed. I.e. I have a Sony HS50 and am left wondering how spectacular (or not) upgrading would be (besides the obvious HD/full HD difference). Can someone tell me if I can place either projector on a shelf, rather than wall mounting? Thanks. Really need help from expert. I have Marantz VP12s2 for 4-5 years, should I change it to Pana PT-AE 3000 ??? I beleive all the reviews are of the projector sitting on something as opposed to ceiling mounted. Not 100% for certain though. I would only think that if you plan to place it on an enclosed shelf that it would have proper ventilation, etc. I got my PT-AE3000U from projector people.com and bought a chief mount for 250.00. I love the projector and without seeing the Mits I think the Panny has alot of detail. As far as calibration my default setting in cinema 1 wasnt too far off the mark. I could have left it there and been happy. We just installed a PTAE3000 for a client, and it rocks. You don't need a Pana mount, a normal universal mount worked fine. I agree with Ben, I wanted my mind to be made up for me... However, i think I'm also gonna go for the AE3000 because its more expensive, so it must be the best... right? how to compare to the new jvc 10000 1080p? demoed that ($8000) for weeks and still wasn't that excited. Terribly exaggerated red and green. so far noone compares this unit to a much more expensive unit. Is it because it bites compared?? reviews are making me think I should buy this sight unseen. been into the projector scene 4 yrs now. started with mitsu HD1000 720p projector. upgraded to HC6000 to a 133inch DaLite screen. Will never upgrade. Beatuful in all aspects. Bluray is Awesome on it. Have 7.1 Audio with a 12 inch velodyne sub. Transformers is jawdropping. Cant speak for any other projector but Mitsu knows what they are doing. Deciding which projector is better overall on a 120" screen, the Mit HC7000 or 6500 vs. the Panasonic AE3000U?